Two police chiefs are calling for change to a system that has freed three violent offenders who went on to kill three police officers. On the day Yarmouth Police Sgt. Sean Gannon was laid to rest, two police chiefs called for change to a system that has freed three violent offenders who went on to kill police officers. Several proposals aimed at reforming how violent offenders are evaluated for release have languished in the state legislature. 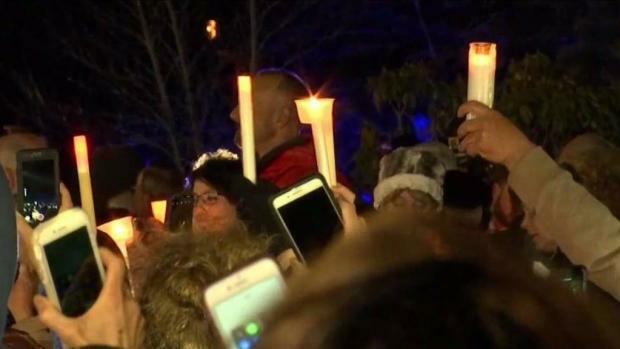 An impassioned Yarmouth police chief let out his rage and frustration at a vigil for Gannon Saturday evening. “I don’t want to see this happen to anybody ever again,” Yarmouth Chief Frank Frederickson said. But it has happened over and over and over. Three Massachusetts officers have been murdered since 2010, with three career criminals accused. In 2010, questions about how a man serving three life sentences for armed robbery went free led to restrictions on who is eligible for parole. 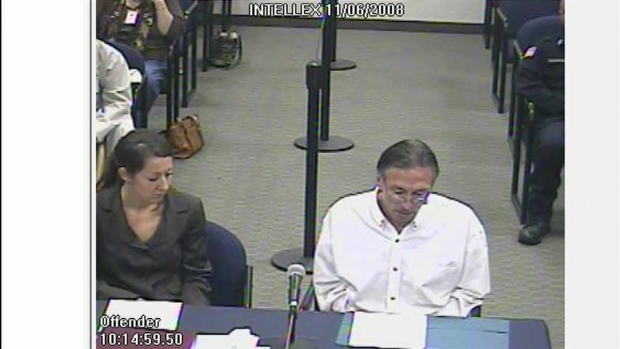 “I am deeply sorry and grateful I didn’t hurt more people,” Dominic Cinelli told the parole board on Nov. 6, 2008. At that hearing, the board described him as “very, very, very high risk,” yet they voted unanimously to put him back on the street. Two years later, Cinelli gunned down Woburn officer John Maguire in an armed robbery during a snowstorm. Dominic Cinelli said he was reformed not long before he shot and killed a Woburn police officer. In Yarmouth, accused murderer Thomas Latanowich was out on probation after serving four years for gun and heroin charges. In the last 15 years, he racked up 125 criminal charges. The death of Auburn officer Ron Tarentino in 2016 was caused by a man with 92 arraignments. “I’m not happy and I’m sick and tired of it,” Auburn police Chief Andrew Sluckis said. 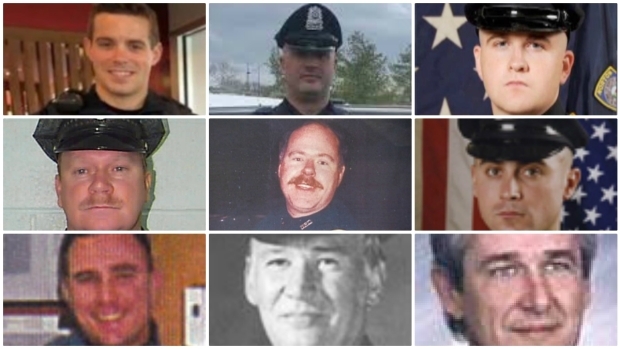 The death of the Yarmouth officer cuts especially deep for Sluckis. Courtroom audio reveals Judge Andrew Mandell’s warning to Jorge Zambrano three months before Zambrano killed Auburn Police Officer Ron Tarentino Jr.
Auburn shooter Jorge Zambrano had a history with cops. He was charged with assaulting a Worcester police officer, and then fighting three Massachusetts State troopers. Prosecutors wanted him jailed during a 2016 hearing. 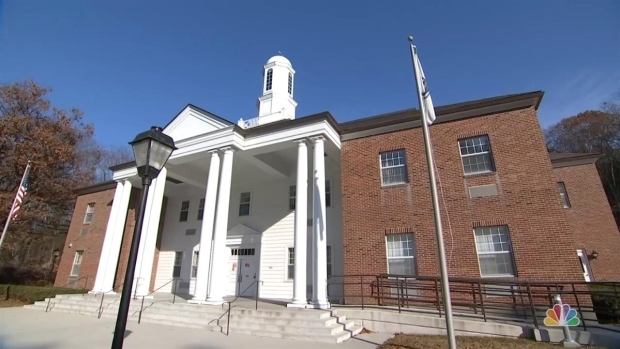 “Throughout his record on almost all his charges, there’s a resisting arrest or an assault and battery on a police officer charge,” a prosecutor said during Zambrano’s 2016 bail hearing. 'Tremendous Loss': Cape Cod Community Mourns Slain K9 Sgt. Judge Andrew Mandell debated whether to grant the $500 bail. “He might not like what a police officer says, but he’s got to listen and obey them,” Mandell said. “He got 2.5 years in jail for assault and battery on a police officer. I mean how many times is it going to take here?” he continued. Judge Mandell granted bail. Ninety days later, Zambrano ambushed Tarentino during a traffic stop. Should Zambrano have been out? “No he should not have been,” Sluckis said. Officer Tarentino’s mother also wants change. “If they can keep letting these offenders out, they say they have the police man’s back. To me, they don’t," Sharon Tarentino said. 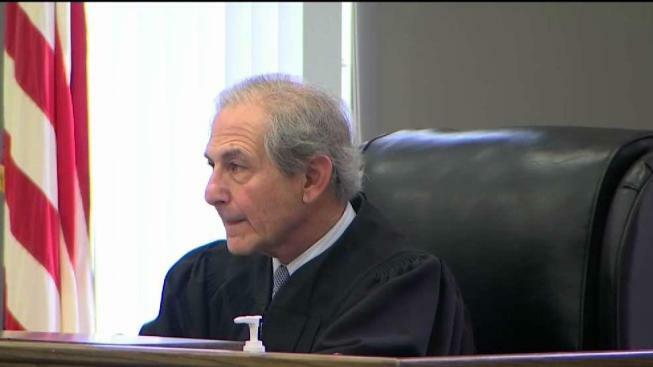 NBC10 Boston took her questions to the court of Judge Mandell. He declined to comment. “It points back to the system. The system is broken. It’s helplessly broken and is in need of repair,” Sluckis said. The chief also called for an end to lifetime appointments for judges. In Yarmouth on Saturday, Frederickson said he wanted last week’s tragedy to be a catalyst for change. But all of this comes at a time at the State House is considering a $16 million cut in police training from the proposed Ways and Means Budget.